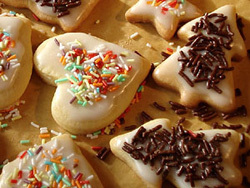 Typical German Christmas biscuits recipe! Christmas time is baking time! This is probably more true in Germany than any other country! Read on for some great recipes and hopefully inspiration for you to make your own German Christmas biscuits. When the first door of the advent calendar is opened children around the country start asking when the first ‘Plätzchen’ will be baked. But it’s not only the little ones – year by year people of all ages are looking forward to this wonderful tradition with an excitement that no supermarket biscuit could ever cause. Two traditional French recipes for Mardi Gras (Shrove Tuesday)! Mardi Gras (Shrove Tuesday) is originally a Catholic celebration, a moment of entertainment for all of us. It celebrates the end of the winter, which is coming soon, by dressing up and eating sugary and fatty foods! It’s also a party day in many schools! There are some carnivals throughout France, including Nantes, Mulhouse and Cherbourg. 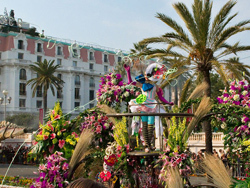 The most famous carnivals in France are the Nice Carnival, the Annecy Carnival and the Dunkerque Carnival. Three French recipes to help you through the winter! Winter and the cold weather is finally here, so it’s time to cook and enjoy traditional winter dishes with family or friends! Here are three traditional French recipes to warm and comfort you this winter! 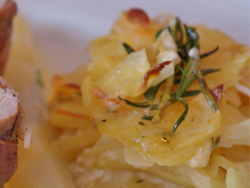 The gratin dauphinois is a dish originating in Grenoble and a popular dish within the Alps, in south-eastern France. A great classic of French cuisine, this is an excellent accompaniment for meat but it can also be enjoyed alone. Not only has Bavaria got beautiful landscapes, charming cities and great beer, but also delicious food! 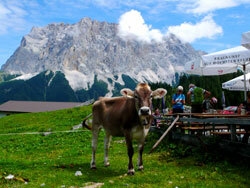 If you want to get to know the Bavarian cuisine, there’s no better way to cook it yourself. I’ll introduce my favourite dishes to you below, that are both easy to cook and super tasty!